It’s the Stand Up Bus! This unique comedy venue is a true LA original! We’ve painstakingly recreated the experience of being in a live comedy showroom and infused it with all the excitement of sitting on a bus! 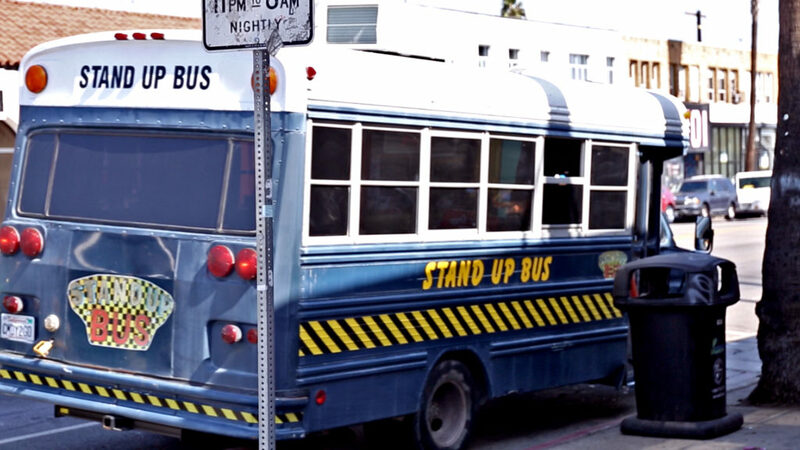 About The Bus: The Stand Up Bus is a comedy club on wheels. We have everything you’d expect from a comedy club, only instead of a brick and mortar theater, we’re located inside of a big blue prison bus. Our Story: After a heated auction rally in July 2014, comedian Mike Frankovich and writer/director Dusty Trice found themselves the proud owners of a decommissioned 1990 Ford Econoline Prison Bus. Work began on transforming the bus into a comedy club in August 2014 with the placement of the first section of ‘brick’ on the wall behind the fabulous Grand Showroom stage. 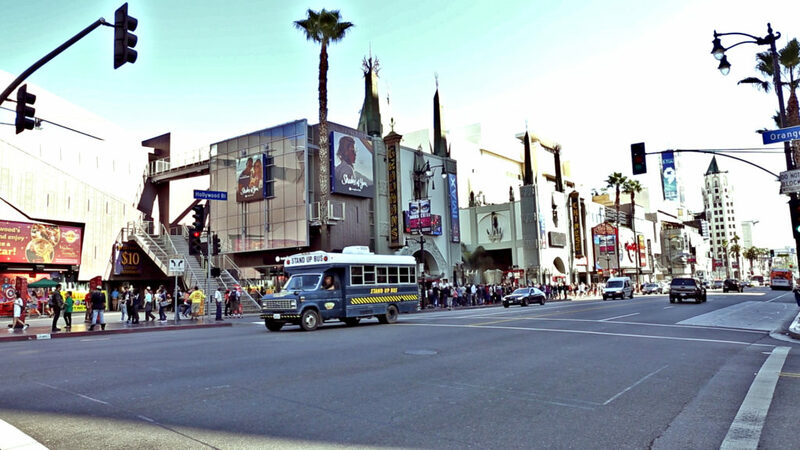 Dusty and Mike now drive the Stand Up Bus around Los Angeles performing random stand up comedy shows wherever they are needed. Stand Up Bus Fun Fact: The bus is nicknamed Ralph in honor of Ralph Kramden, the lovably loudmouthed bus driver played by TV legend Jackie Gleason on The Honeymooners.